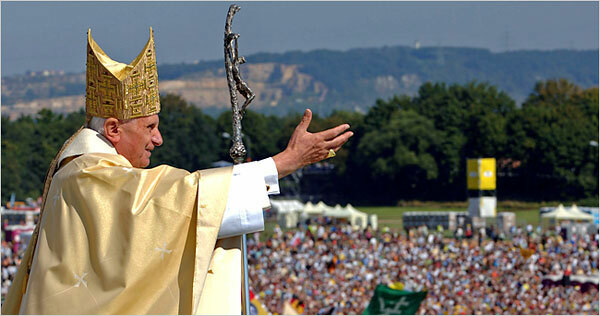 The Catholic Church wants Sunday observance enshrined in EU law. The European Parliament has debated changes to its Working Time Directive. Some Parliament tabled an amendment saying that the minimum rest period “shall in principle include Sunday.” The Brussels-based Commission of Bishops’ Conferences of the European Community (COMECE) agreed, recommending the directive should say “the minimal weekly rest must include Sunday.” But the proposal texts were not good enough. Now five Parliament members have put forward a new declaration. Accordingly this declaration now introduced into parliament calls on the Member States and on the EU institutions to “protect Sunday, as a weekly rest day, in forthcoming national and EU working-time legislation in order to enhance the protection of workers' health and the reconciliation of work and family life”. In order to be adopted, it is now necessary for the Written Declaration to be signed by a majority (394) of MEPs before 7 May 2009.
affairs of the national parliaments. If EU will make a specific day, Sunday as a day of rest, then they will enforce a lifestyle change on its subjects. Then the people in alle the member states will be forced to follow a state religion – Catholicism. The enforcement of Sunday worship will be the mark of a powerful Vatican-allied European superpower. The Catholic Church itself claims to have a mark. They claim Sunday as the mark of their authority, and that others acknowledge the church's authority by Sunday observance (From Thomas, Chancellor of Cardinal Gibbons and the Douay Catechism, p. 59). The church therefore says plainly that their mark of authority is their implementation of Sunday, the Biblical first day of the week, as the day of rest, in place of the Sabbath, which is kept from sunset on Friday until sunset on Saturday (Mark 15:42-47, 16:1-6l; Leviticus 23:32; Nehemiah 13:15-21). The Bible speaks of only one day of rest in the week, which is the Sabbath. This is the only day of rest, which God has hallowed and blessed, from creation onward. In the Ten Commandments we are instructed to keep the seventh day, the Sabbath, as the day of rest (Gen. 2:1-3, Ex. 20:8-11, Acts 18:4). ”Question: Have you any other way of proving that the (Catholic) Church has power to institute festivals of precept (to command holy days)? Conclusion: The Catholic Church openly admit that it is they that by law has changed the day of worship from Sabbath to Sunday in 336 BC. They also admit that if we shall follow the Bible, we have to keep the Sabbath holy, not Sunday. ”Fearful is the issue to which the world is to be brought. The powers of earth, uniting to war against the commandments of God, will decree that "all, both small and great, rich and poor, free and bond" (Revelation 13:16), shall conform to the customs of the church by the observance of the false sabbath. All who refuse compliance will be visited with civil penalties, and it will finally be declared that they are deserving of death. On the other hand, the law of God enjoining the Creator's rest day demands obedience and threatens wrath against all who transgress its precepts.